The Commission on Religious Counseling and Healing is a religious licensing organization comprised of God-centered licensed practitioners and is devoted to the spiritual, intellectual, and physical healing of God's children. It is the official healing ministry of the Syriac-Greek Antiochian Synod of the Eastern Orthodox Catholic Church. The Commission works vigorously to protect the rights of it's licensed practitioners and their clients and is canonically protected by the North American Canon Law Society. 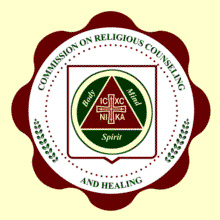 The Commission on Religious Counseling and Healing is a full service membership and licensing agency under a 501(c)(3) recognized religious organization for theocentric holistic healing practitioners. 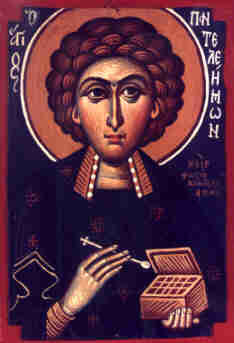 Since 1986, the Commission on Religious Counseling and Healing has accepted into membership all eligible healers and counselors who believe in the theocentric holistic philosophy and profess that: "All healing comes from God as a blessing to the affected person through the hands or intervention of the healer." It is open to practitioners of all Judeo-Christian faiths. Licensed practitioners know that it is not they who heal, but God who is the Divine Physician and Healer, and they are merely His instruments. The Commission has two main categories: Religious Counseling, which is open to theocentric counselors, psychologists, and psychotherapists; and Healing, which is open to theocentric chiropaths, and other healers who use nutritional counseling and hands-on-therapies to assist with the healing process and holistic balancing. Religious liberty is recognized and understood in all fifty states, and the Commission makes certain that their licensed practitioners are afforded the right to practice their vocation. Licensed canon lawyers offer guidance in various matters including registration of practice, disclaimer preparation, and guidance in issues related to issues of State and Ministry. As a theocentric healing art, practitioners may freely practice their vocation so long as they do not violate the Code of Professional Responsibility and Ethics as set forth by the Commission.